Screening young children is an effective, efficient way for professionals to check a child’s development, help parents celebrate their child’s milestones and know what to look for next, and determine whether follow-up steps are needed. It’s also an essential first step toward identifying children with delays or disorders in the critical early years, before they start school. Everything you need to know about developmental screening. Download your Screening Toolkit now! If social-emotional problems are identified and addressed early, children are less likely to be placed in special education programs—and later in life, they’re also less likely to experience school failure and unemployment. The Individuals with Disabilities Education Act (IDEA) requires states to identify, locate, and evaluate all children with disabilities who are in need of early intervention or special education services. The Center for Disease Control (CDC)’s national campaign Learn the Signs. Act Early encourages parents to monitor their child’s development, participate in developmental screenings, and share any concerns early. 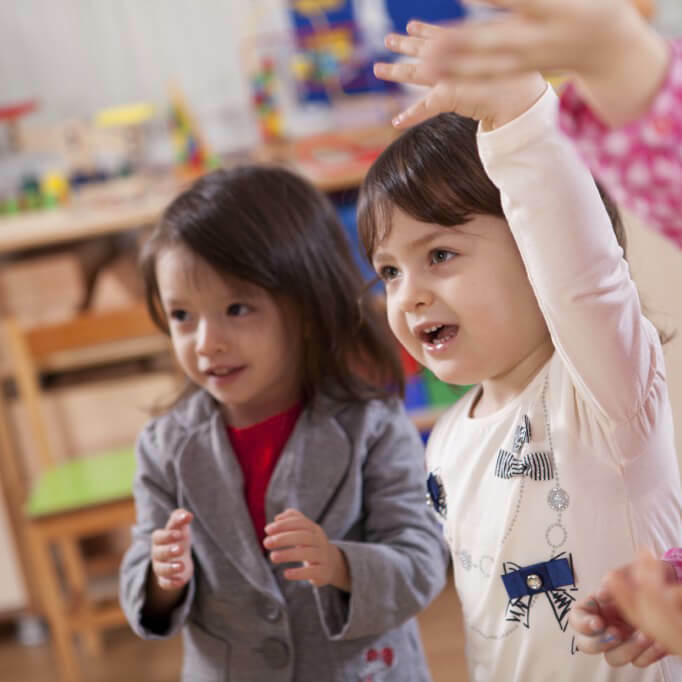 The Head Start Program Performance Standards require use of research-based, standardized, culturally appropriate developmental screening tools for all children within 45 days of program entry. Medicaid’s Early and Periodic Screening, Diagnosis and Treatment (EPSDT) benefit requires screening at each well-child visit. The Help Me Grow system model, adopted in 28 states across the U.S., aims to increase the rates of developmental screening. One of the key goals of Help Me Grow is to identify children at risk for delays and connect them to services that can help. Birth to 5: Watch Me Thrive!, a coordinated federal effort, is committed to encouraging universal developmental and behavioral screening. They’ve compiled a helpful Compendium of Screening Measures for Young Children to assist programs in choosing a research-based tool. Many state quality rating improvement systems (QRIS) include use of developmental and social-emotional screening tools as requirements or quality indicators. The ASQ screening system has been tested extensively and is based on sound child development and assessment principles. Backed by almost 40 years of rigorous research, ASQ questionnaires are highly accurate in identifying children with developmental delays with excellent sensitivity and specificity. High validity and reliability have been demonstrated through detailed psychometric studies. ASQ items were reviewed by experts in psychology, psychiatry, education, early childhood development, pediatrics, nursing, and mental health. Experts provided feedback on the appropriateness of items, ease of understanding items, scoring format, and content validity. ASQ-3 and ASQ:SE-2 have been favorably reviewed in the Buros Center’s Mental Measurements Yearbook and are included in multiple compendiums of research-based screening tools. Early childhood professionals across the country field-tested ASQ questionnaires with a diverse sample of young children and parents that reflect the demographic makeup of the United States. ASQ includes a sample of unparalleled size—tens of thousands of questionnaires were completed in the national normative studies for ASQ-3 and ASQ:SE-2. To learn more about the development of and research behind the ASQ questionnaires, download the ASQ-3 and ASQ:SE-2 Technical Reports. 1 Glascoe, F.P. (2000). Early detection of developmental and behavioral problems. Pediatrics in Review, 21(8), 272–280. 2 Dunkle, M. (Fall 2004). High Quality Developmental Screening. Developmental & Behavioral News, 13(2). 5 American Academy of Pediatrics (2001, July). Developmental Surveillance and Screening of Infants and Young Children, Pediatrics, 108(1), 192–196. 6 American Academy of Neurology and the Child Neurology Society, (2000, August). Practice parameter: Screening and diagnosis of autism, Neurology, 468–479.